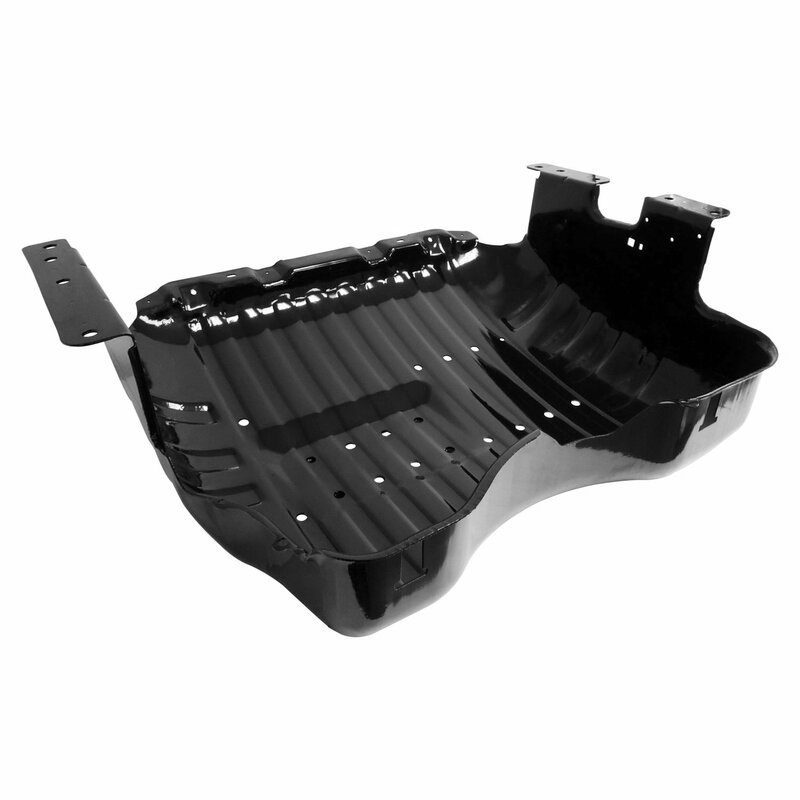 The Crown Fuel Tank Skid Plate will replace the factory skid plate on your 99-04 Jeep Grand Cherokee. Made from stamped steel and finished in a black paint finish. Protecting your gas tank from damaging road debris while mounting to the frame for a secure mount. Be sure to keep your old hardware as this will need to be re-used. Direct Replacement: A factory original style gas tank skid plate for your 99-04 Grand Cherokee making this a simple installation. Protection from Road Debris: This steel skid plate will protect your tank from damage while providing a secure mount.